Huddling over the picnic table sheltered by tall walls supporting ornamental and fruit trees we wait for our leader to part his secrets of the foraged nettle brew he gave us, which we were glad it didn’t actually stung. “So how do you make these?” asked a fellow workshop attendee. John paused for a brief moment holding the eager note takers attention. A few months later my trial for an apple cider turned vinegar, a thick gelatin like top grew over the concoction. 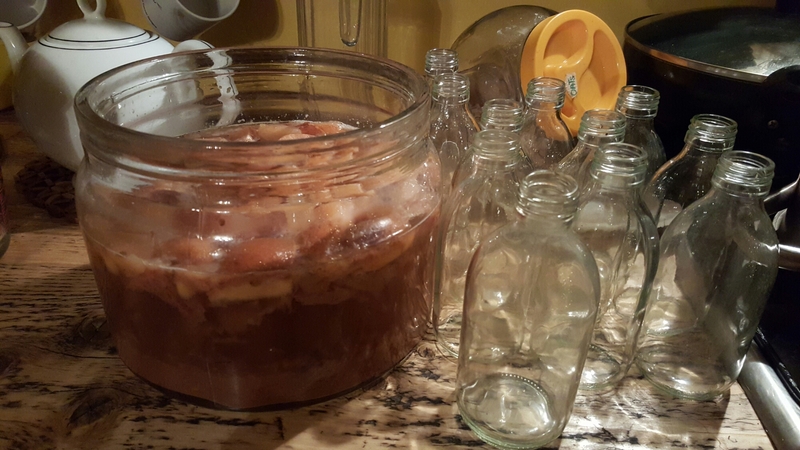 I had made organic raw apple vinegar and my first SCOOBY or mother later fermenting dozens of Kombucha drinks (fizzy low alcohol botanicals).